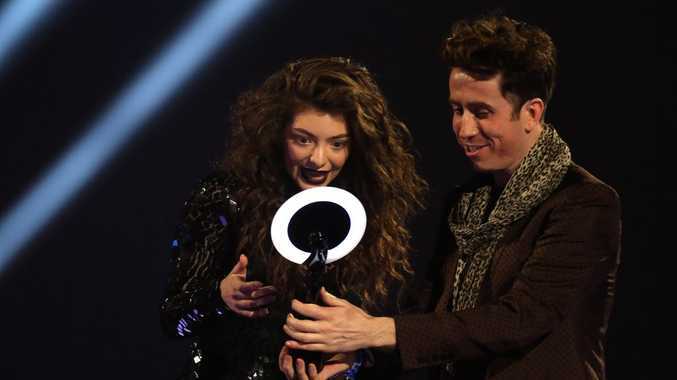 KIWI music sensation Lorde stole the show at today's Brit Awards. The teen chart-topper was named International Female Solo Artist of the year, beating out more established singers including Lady Gaga, Katy Perry and Pink. The singer, real name Ella Yelich-O'Connor, also impressed the industry crowd at London's O2 Arena with her dramatically different version of her breakthrough hit Royals with British duo Disclosure. Arctic Monkeys dominated the awards, taking home the awards for British Group and British Album of the Year. International acts Daft Punk and Bruno Mars were also recognised, while British boy band One Direction took home the gong for British Video.